Hmmmm, so crisp, smooth, and beautiful. This is probably one of their most accessible records in their discography. The melodies are serene and create a tropical, sun-bleached atmosphere for your summer nights at the beach. Amazing record, it's dear to my heart. 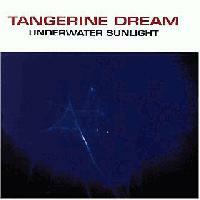 A magical, mysterious adventure in the Tangerine Dream world. This album sounds like a slick fusion of Mike Oldfield and ambient Coil, all juxtaposed into one. The first two tracks are by far the greatest ones here.